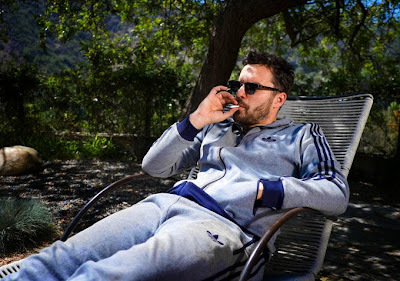 Joe Swanberg's latest movie might just be his best so far. I say "might" and "so far" because a) I haven't seen every one of Swanberg's 20+ movies (plus short films) and b) because at age 34, he's far from finished as a filmmaker. But with Digging for Fire, we see a more formalist side of the writer/director -- one who explores his usual preoccupations but does so in a much more cinematic context. This is not the micro budget, shot-in-an-apartment-on-a-weekend-with-friends, vérité, dare I say "mumblecore" (ugh) Joe Swanberg, even though this movie is fairly low budget, shot largely in and around a single location and made with friends. The tension and interplay of form and content in Digging for Fire feels new and exciting, resulting in my favorite Swanberg movie to date. 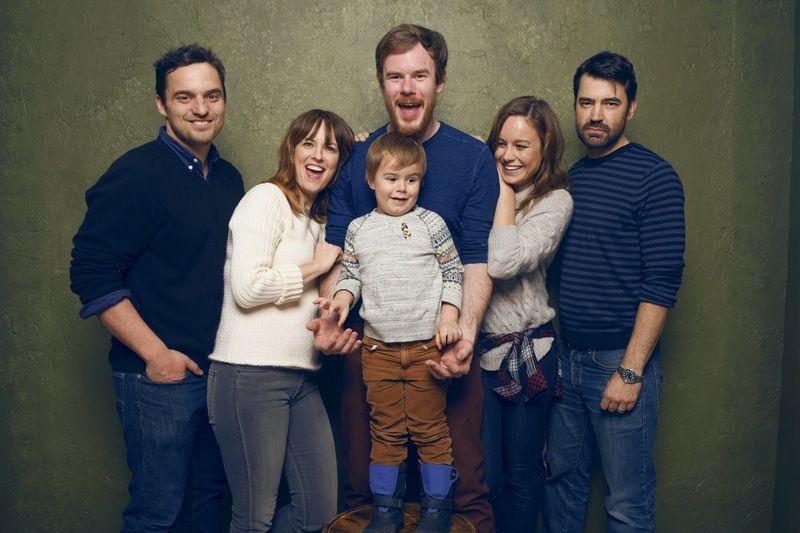 Jake Johnson and Rosemarie DeWitt star as Tim and Lee, married parents of a young boy sort of housesitting for a friend out in L.A. While digging in the yard, Tim finds a bone and an old gun, and his preoccupation with both leads him down a path both internal and otherwise. Lee takes their son out to see her wealthy mother (Judith Light) and stepfather (Sam Elliott), embarking on a spiritual journey of her own, while back home Tim sees friends come and go, including Sam Rockwell, Chris Messina, Anna Kendrick, Mike Birbiglia and the always incredibly welcome Brie Larson. Oh, and digs. And digs and digs. In many ways, Digging for Fire is a lot like most of Swanberg's other movies: a small, intimate character study more concerned with observing relationships and behavior than with telling a tightly plotted story. The main difference this time out is that Swanberg has consciously made a movie that feels like a movie -- it's beautifully shot on 35mm, making full use of the 2.35:1 scope framing and with a moody, Tangerine Dream-esque score by Dan Romer (who previously did the great music for Beasts of the Southern Wild). While it's as much an experiment as anything else, the choice has a unique effect on the proceedings, heightening the stakes and the emotions even though it's presenting them in a more artificial light. It's a commentary on the way that we the audience experience movies, accepting different levels of "reality" depending on how it has been constructed, shot, scored, edited. Sometimes, shots of Johnson digging feel unusually tense and suspenseful because of the music and the way the camera moves. We react to it in ways we wouldn't if the exact same scene was placed in, say, Hannah Takes the Stairs and the aesthetic was different. Other times, the gap between that aesthetic and what's happening on screen calls attention to itself: we sit and watch a big cinematic moment only to take a step back and realize all we're watching is a guy digging a hole. But the stylistic choice is also a commentary on how the characters in Digging for Fire perceive their own realities. We have all had moments in which we see ourselves as the main character in the movie that is our life, experiencing certain situations not as they are but as "scenes." We can even hear the score or the song that would be playing over these moments. Digging for Fire is one of the first films I've seen that confronts this duality head on by making the seemingly mundane cinematic -- these emotional crises and life choices feel bigger because the movie-ness of them makes them feel bigger. The disconnect is fascinating. This all addresses only the film's form and not its content, which is also rich with truth and human observation. As the parents of two small kids, my wife and I have been these characters, finding ourselves caught between what see as our "former" selves and our current status as parents with very different priorities and responsibilities. Digging for Fire does a much better and more subtle (some might say slight) job of exploring these ideas than, say, Noah Baumbach's While We're Young, which opts to come right out and say everything this movie implies. There are a lot of small beats that right true, like the moment that a party stops being fun and you just wish all your guests would leave, or the disappointment you can't help but hide when your plans for your only free night out are dashed by a friend bailing on you. The movie's temptation -- the cool girl who represents the road not taken for Tim (or at least might put him back in touch with his younger self) -- is revealed to be a construct, her hip purple dye rinsing out of her hair in the shower. She's not the girl you think, Swanberg is saying. That girl never is. The Manic Pixie Dream Girl is a fraud. I know that this is not a movie for everyone. It's even going to frustrate some Swanberg fans; I saw the movie with several friends (including F This Movie's own JB and Adam Riske, who was a big fan of both Drinking Buddies and Happy Christmas) and it left most of them cold. I found the movie to be an experiment that paid off -- Joe Swanberg by way of Michael Mann. I have heard it referred to as both his Eyes Wide Shut and his The Shining, and I don't disagree with either assessment. It's a movie about a couple that might be drifting apart and must find their way back to one another. It's a movie about becoming possessed by a singular obsession that even you don't even understand. Sometimes you wander in search for existential truth, reexamining your life, wondering how to get back in touch with the things that made you happy. Sometimes you just dig some stupid hole. What matters is that you make it back home. Great review. I never thought about it as Swanberg's riff on Eyes Wide Shut (a movie I like but took some warming up to). I think maybe this is a movie that works better if you're married, but I could be wrong. I did not like the film, but I really like your review.